ESWATINI: Patent Application | Smit & Van Wyk, Inc.
Eswatini is formerly known as Swaziland. Certified copy of a granted South Africa patent is required upon filing. A granted UK/European (UK) patent automatically extends to Swaziland. The patent has a duration of 20 years from the date of filing if designated as an ARIPO state. If the patent is based on a South African or UK patent, then the patent will remain in force as long as the South African patent and UK patent remain in force. No renewal fees are payable if the patent is based on a UK patent. If the patent is based on a South African patent, then the fees are payable on the same date as the South African renewal fees fall due. 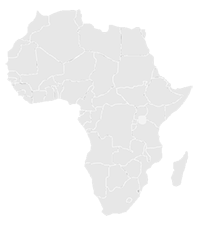 Smit & van Wyk, Inc. patent agents in Africa: Our services include patent applications, maintenance and protection in Eswatini. The patent attorneys at our firm are dedicated individuals, skilled in their fields of practice, and can provide clear advice on complex legal matters to clients from all over the world.